At SEESAW, be assured that there’ll always be hands-on senior researcher involvement for your project. From start to finish. That’s the advantage of working with a boutique agency which was set up to fulfil the founder’s fiery passion for research. Be also assured that researchers are handpicked to match this high level of commitment and passion to ensure that each, and every, project is well taken care of. 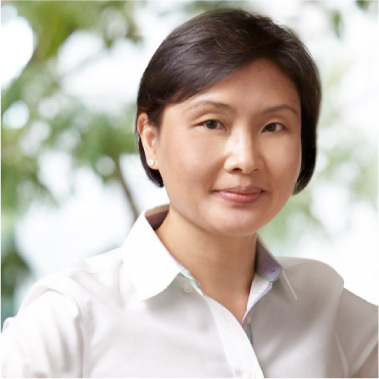 Rachael has worked in MNC market research agencies such as Nielsen and Research International for almost 2 decades, in Singapore, Hong Kong and China before setting up SEESAW in 2006. She is a strong believer in continuous learning and the creative adoption, adaptation and development of qualitative approaches to gain in-depth market and consumer insights. She is highly adept at translating research insights into recommendations to address marketing and business issues. Consumer understanding, branding & communication, renovation & innovation, shopper behaviour. FMCG, consumer healthcare, telecommunications, financial, luxury products, consumer electronics, automotive, energy, IT. Singapore, Hong Kong, China, Taiwan, Malaysia, Indonesia, Thailand, Philippines, India, Korea, Japan, US, Europe, Middle East, Africa. SEESAW also works with a regular group of independent researchers handpicked based on the quality of their work and experience.